My training gear is always prepared the night before so that in the morning I just up and go. I keep it simple and keep it routine so that I get up, get in my green tea and or coffee fix and head out the door. I am a creature of habit, routine and focus. I switch on my sleep monitor which I have utilized to analyze my last 12 000 hours of sleep and set the alarm for 4:30am. Eyes close its time to sleep. 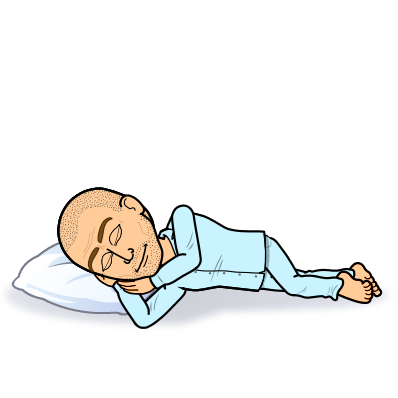 I know that some days an early wake up can cause the loss of that final critical deep sleep cycle where hormonal release is crucial to body restoration and this morning I felt it. Alarm goes off, a light automatically shines from my phone for me take my heart rate immediately otherwise I go blind from it. Rest Heart Rate appears normal but I just feel like I need to recover some more. I close my eyes and go back to sleep. I am sure every single day people across the globe battle with an early morning training session. I actually do not. Oh you thought I couldn’t get out of bed? Actually the opposite I very much could but decided not to. I decided that I would push my training session to the late afternoon early evening to give myself an additional 12hrs of recovery meaning 36hr recovery from the previous session. Knowing your body intimately well and understanding when you should and should not train takes time and effort but its something many just don’t do. When it comes to nutrition I am a freak of analytics. I am the kind of nightmare that walks into a Kauai and reconstructs their menu to suite my immediate needs. I once made them make me scrambled eggs with avocado and asked them drizzle macadamia nut but over it. Another time I told them to make me half the normal rolled oats portion (as the normal portion was for a giant) reinforce it with a serving of pea protein isolate after it was cooked, but made sure they cooked the chia and gojis in the oats not to throw them over afterwards ensuring I got maximum nutrient absorption. I then asked them for a small tub of blueberries on the side. They know me well now they even have names for my meals like Wolff’s Power Oats or Marks Egg Special but that comes with the territory I don’t just accept I do whats good for my own engine. The way I am with nutrition is the exact same way I approach my training. I holistically look at an entire week and shape rest and nutrition around the workouts to ensure maximum recovery to ensure maximum strength and health gains. Its not something I was an expert at when I was younger actually the opposite. In our youth we all want to be hit with hard suffering sessions day after day. However with time you learn that it weakens you and doesn’t strengthen you. Recovery is the true measure of patience and a patient person will reap the amazing benefits from recovering well between workouts. I often get questions from athletes such as I want you to kill me this week, or please throw a hurt-box week at me and I sit back and laugh thinking just how the concept of proper recovery is the furthest item from their minds. While most people think about their training sessions I am thinking about my recovery sessions. Pick your battles never go into war with a weakness only go in with strength or you will face a losing battle. I always tell athletes that a rest day doesn’t mean you are not training it means you are recovering. It takes a special kind of person to recover properly. On a rest day you still train your gut by including proper nutrition to ensure proper recovery, immune system strength and health. It also might mean a toned down training session where your max HR is limited and yes you might feel like you doing nothing intense but active recovery is crucial at times. I cant stress enough how if you focus on recovery and nutrition more than you do only on training you will start to reap the rewards of the patience game which you never thought were possible. Prepare yourself for renewed strength, energy, speed, and of course immunity and health and you will never look back. Recovery is always the true measure. Sign on to my Fitness Freak Blog and join me on the journey of health, longevity and performance.